The first day when we arrived at the airport we took a walk to Corfù, in about half an hour (3km) you will get to the city center, and even if the first part of the walk is not that impressive, after a while you'll reach the sea and the city center: you will be able to devise the old city, the castle and the port, each one of them becoming more and more real as you approach. We found it absolutely amazing to go out of an airport walking: of course you can take a bus or a taxi, but the city is so near that you really won't need them if you are backpacking. In the city of Corfù you will notice a lot of similarities with Venice (like in most places located on the Adriatic sea and in part of the Aegean sea); Venetians actually left their mark in these cities because they built lighthouses, ports and markets in their way to China and eastern countries, which were for a lot of centuries their fruitful commercial partners. But there is one special thing that you cannot miss in Corfù as a vegan: Rosy's Bakery! 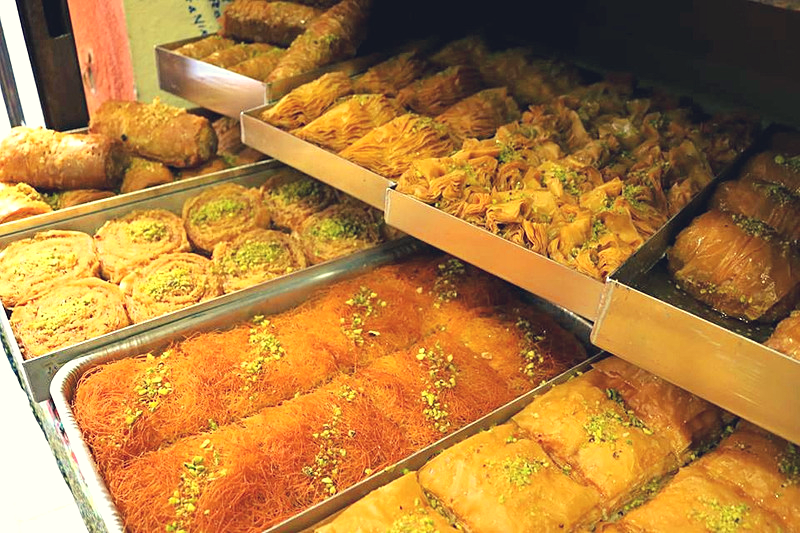 Here you will find vegan baklavas, sandwiches and other typical baked products. Rosy is wonderful and really helping when you need an advice. 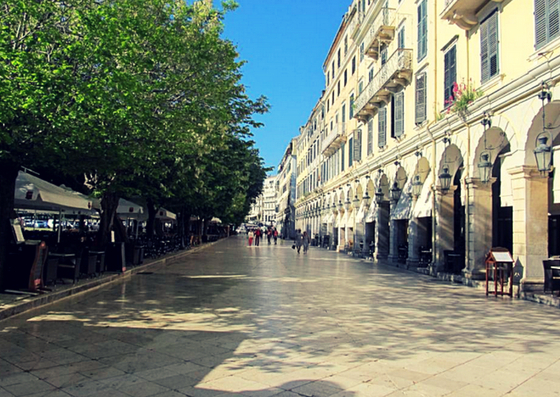 After this beautiful day trip in Corfù city we took the late afternoon bus that took us to Liapades. I chose this part of the island because we don't like crowded places and if possible we enjoy experiencing the true life of every country, distant from tourist attractions; we also love feeling the nature and the culture of every land we are visiting. Last but not least, Liapades was served by public transport and we didn't want to hire a car this time. 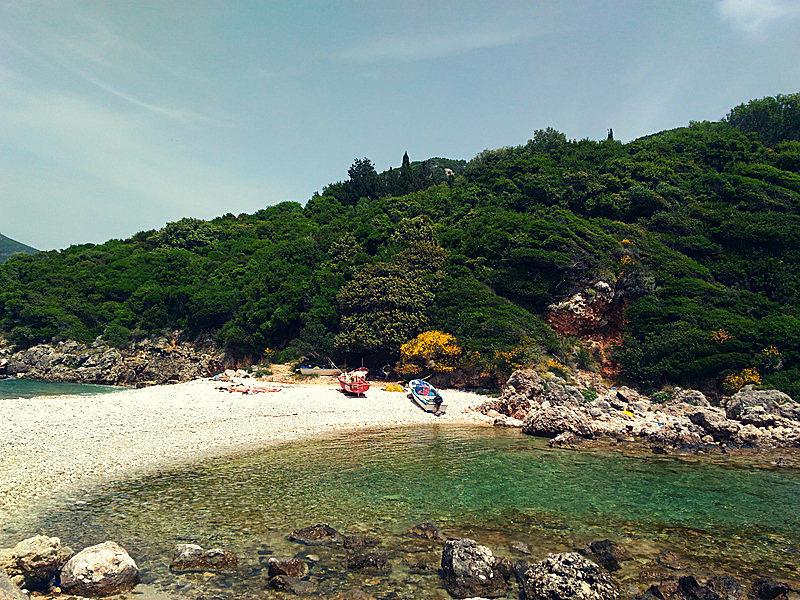 Near Liapades you can adventure along paths that dive deep into olive and lemon trees and explore marvelous tiny beaches till you find your favourite one. If you don't feel like walking you can consider the idea of renting a motorbike instead of a car. 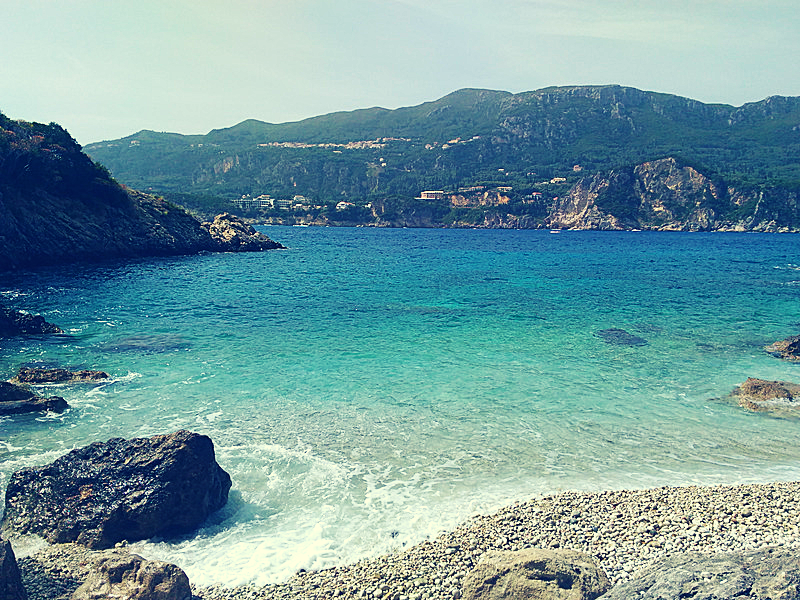 We recommend visiting Limni beach, Klimatia and Roviria, but for a complete list visit this site. 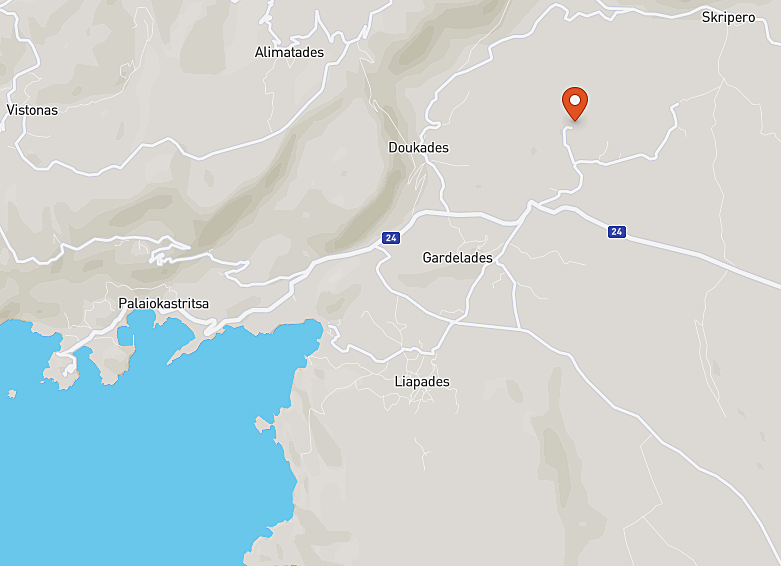 Last but not least, I chose Liapades because if you feel like spending some hours away from the beach, you can take a walk into the fields and reach a donkey sanctuary. I found amazing to discover this place, it was totally worth the visit. The sanctuary give shelter to homeless cats and dogs, but most of all to abused donkeys; in the Mediterranean area it's not unusual to see these gentle animals used to work in the fields or to amuse tourists: it's disgusting to see how so many stupid people still enjoy riding animals that are stressed, beaten and broken down. It's just so selfish. 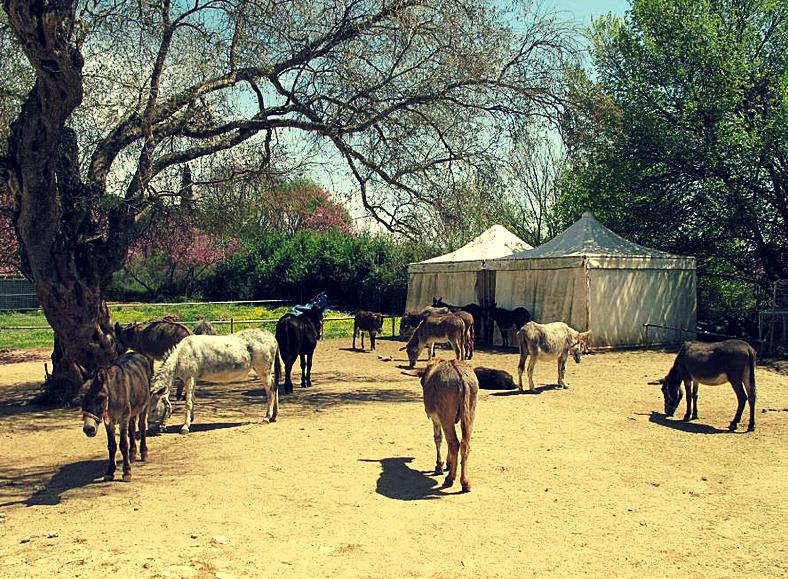 Anyway, the sanctuary is well organized, donkeys are so sweet and you can brush them. They take care of the older ones and you can see the result of their previous inhuman work on their curved columns and in their ruined legs. Without a rigid tutor or bandages they couldn't even walk. I strongly recommend a visit so that you can see with your eyes how tourism can affect animals rights. Animals suffer from stupid human behavior, thats sad ! Another example of cruelty is from testing makeup products to animals.